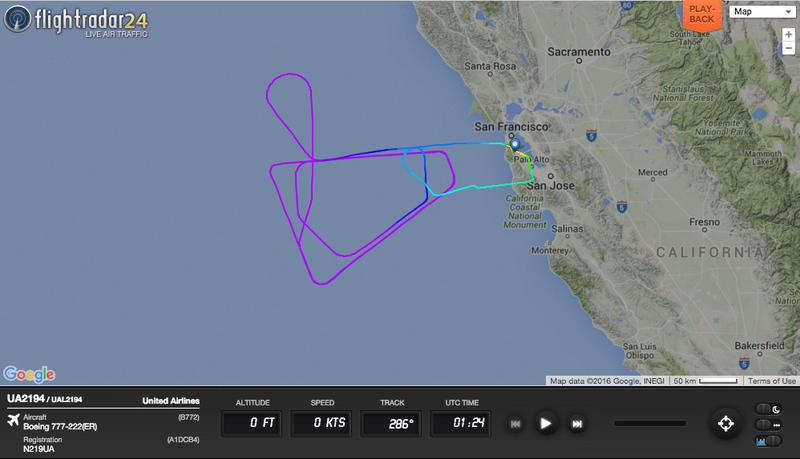 We often get questions when a plane seems to be flying in a strange pattern and going nowhere. Often times these are either training flights or test flights after maintenance. Airliner maintenance is a lot more than just changing tires and checking fluid levels—though there is a lot of that. We took a look through the JetPhotos catalog and also dug up some great videos to look into what happens when an airplane goes into the hangar for maintenance. A United Airlines 777-200ER performing a test flight after maintenance. 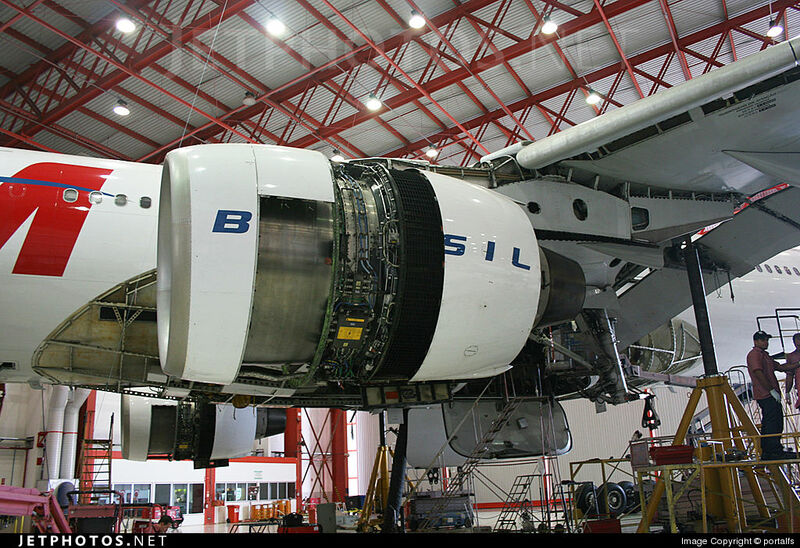 There are multiple levels of maintenance for aircraft, all involving different amounts of complexity and time. Aircraft are regularly checked in between flights and overnight. They also receive more extensive checks that can keep an aircraft out of service for days, weeks, or over a month. The two more involved maintenance visits are commonly known as C and D Checks. A C Check can keep an aircraft out of service for up to two weeks, while a D Check removes an aircraft from service for up to a month. For practical purposes, many airlines also group smaller maintenance tasks that would normally be performed in one larger check into packages to ensure the aircraft is not out of service for such a long period of time. A TAM Airlines Airbus A330 undergoing maintenance. 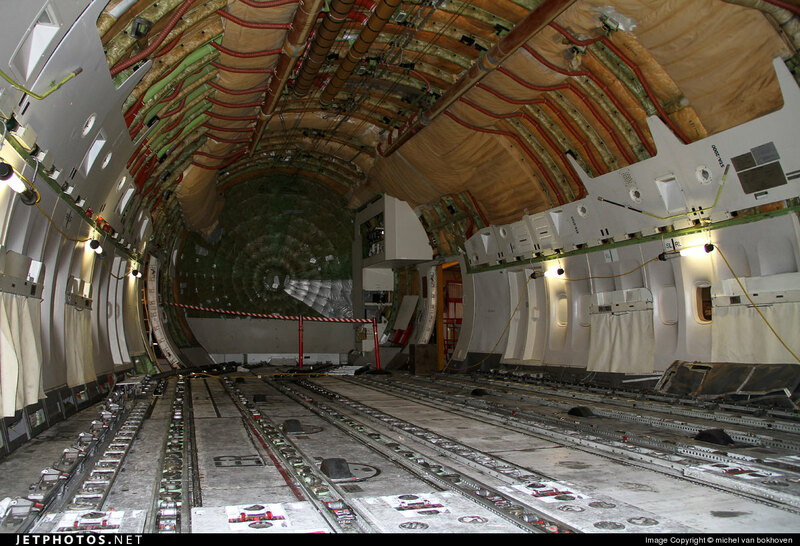 A C Check is an extensive procedure that disassembles many parts of the aircraft, including the cabin interior. The following time lapse video shows a A British Airways Airbus A319 (G-EUOG) undergoing a C Check in Glasgow. An even more extensive check is the D Check or Heavy Maintenance Visit (HMV), which occurs only every 6-12 years. D Checks essentially take the entire airplane apart, examine it, repair any necessary issues, and put the plane back together. These checks are often timed with extensive interior upgrades or aircraft repainting to minimize the amount of time the aircraft spends out of service. 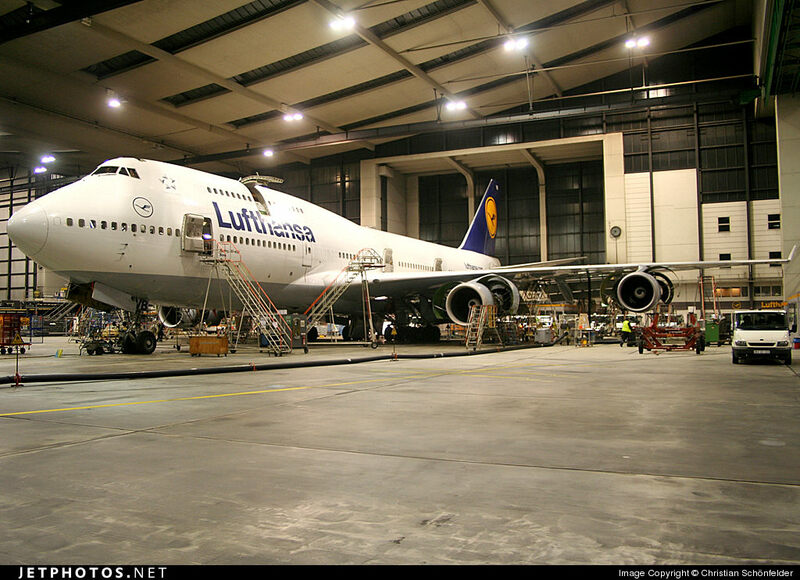 A KLM 747 (PH-BFI) with its cabin removed, undergoing heavy maintenance. The following video follows a British Airways maintenance team as they perform a D Check on “Victor X-ray”, a Boeing 747-400, registered G-CIVX. All heavy maintenance on British Airways 747 and 777 aircraft is performed at British Airways Maintenance Cardiff (BAMC) and flights by large British Airways aircraft between London and Cardiff are routine. For a good idea of which aircraft are currently receiving maintenance, visit the On Ground page for Cardiff Airport. After major maintenance is performed on an aircraft, airlines generally perform a test flight without passengers to ensure that all systems are functioning properly. There are a few ways to track these on Flightradar24. Post-maintenance test flights can often be noted by a “T” or “P” appended to the flight number. Other airlines, such as British Airways, make use of the 9000 block of flight numbers to perform maintenance flights. All maintenance is essential, but some maintenance checks—like this 747 escape slide test—can more fun than others. 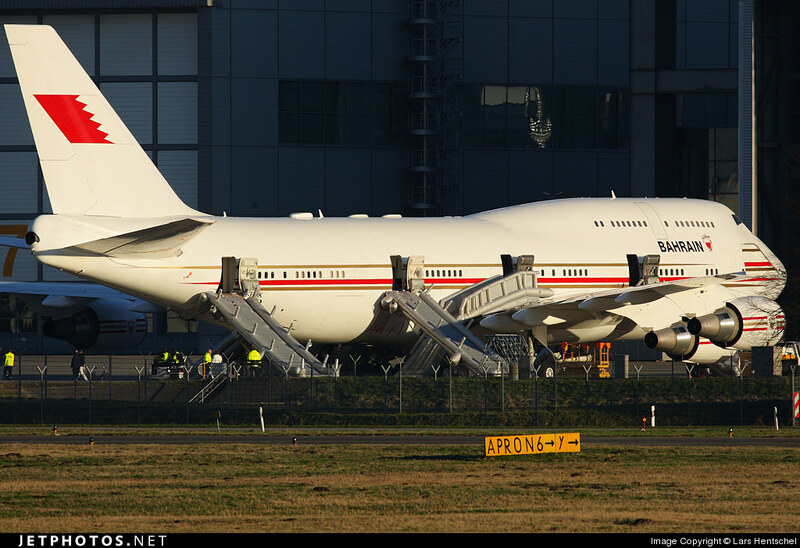 The escape slides on a Bahrain 747 are tested during a maintenance check.